5: Showtime at Five O'Clock - "Arranged by Denis Moreen"
My partner Rob Tackes and I met in Evanston, Illinois on April 17, 1959. 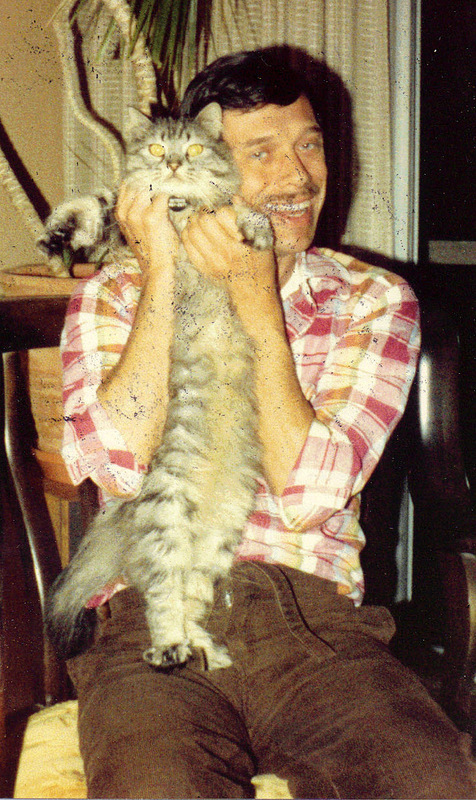 We lived in the Chicago area until June 1970, when we moved to San Francisco in search of warmer weather. Then thirty-five years later we began searching for even warmer weather and found Palm Springs, where we have lived full-time since 2006. 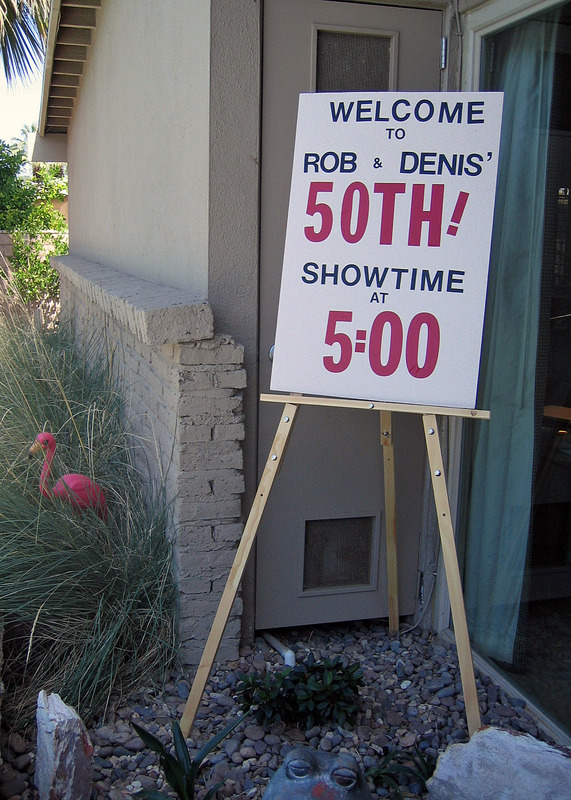 In April 2009 we threw a big shindig to celebrate our fiftieth anniversary of living and loving together. 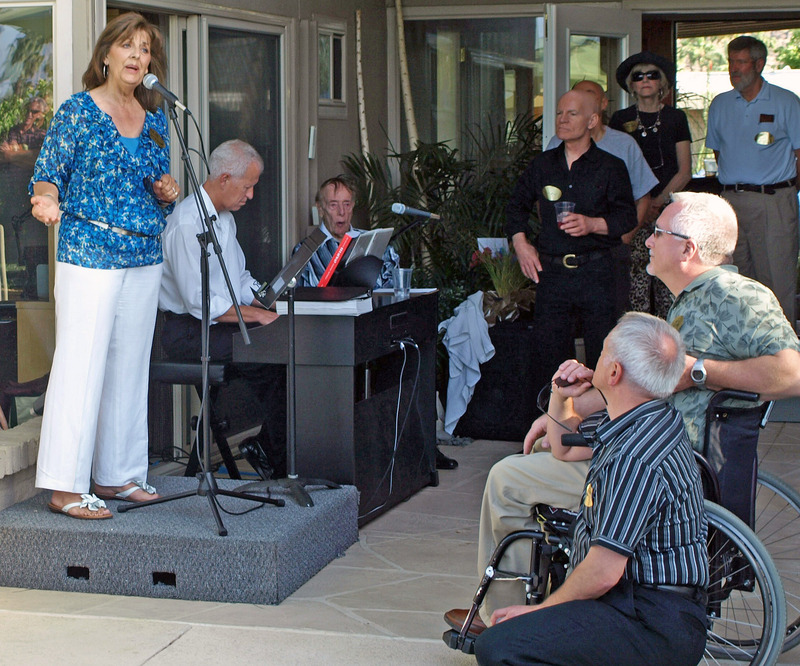 Over one hundred guests came to the party, including many singers, actors, pianists and conductors with whom I had worked since arriving in the desert. So it turned out to be not only a golden opportunity to celebrate Rob's and my fiftieth, but also a wonderful chance for me to thank my colleagues in the arts. Our good friends Scott Shriner and Dave Richardt coordinated the logistics for the party. Our best buddy Richard Hilgenberg designed the poster room displays. 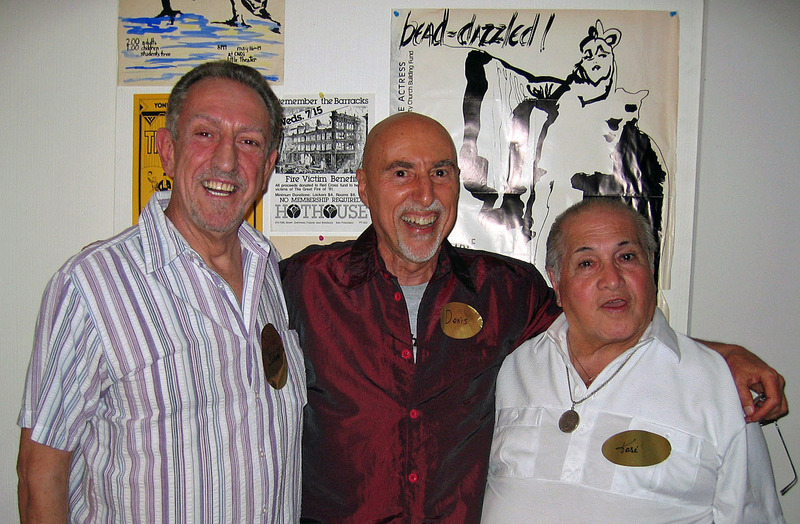 Scott, Rob, Denis, Marty Zelbow and Bob Cordeiro took photographs during the party. 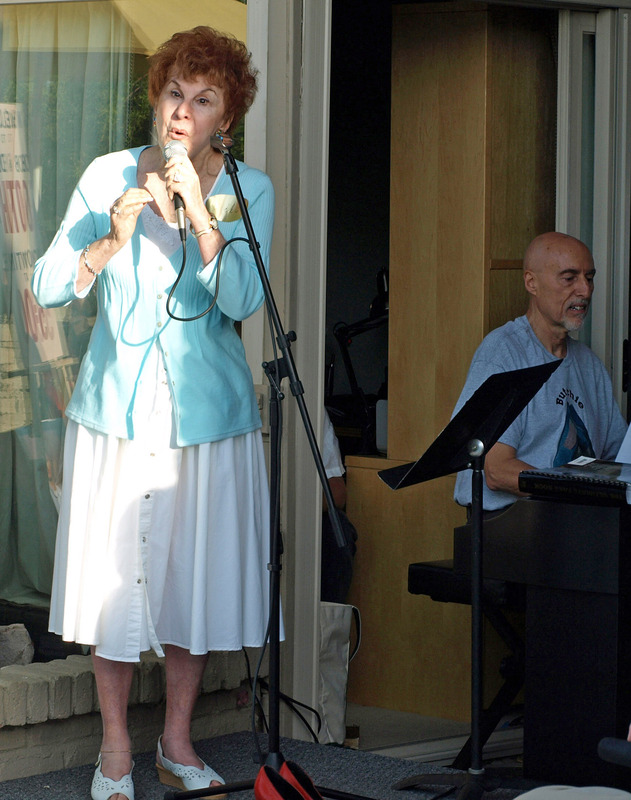 Many entertainers rehearsed with pianist Charlie Creasy before the party. At the appointed hour, Showtime at Five O'Clock began! Promptly at 5:00 our friend Parker Crouch asked everyone to get ready for Showtime, and then at 5:01 Rob Tackes took the microphone and welcomed our guests. 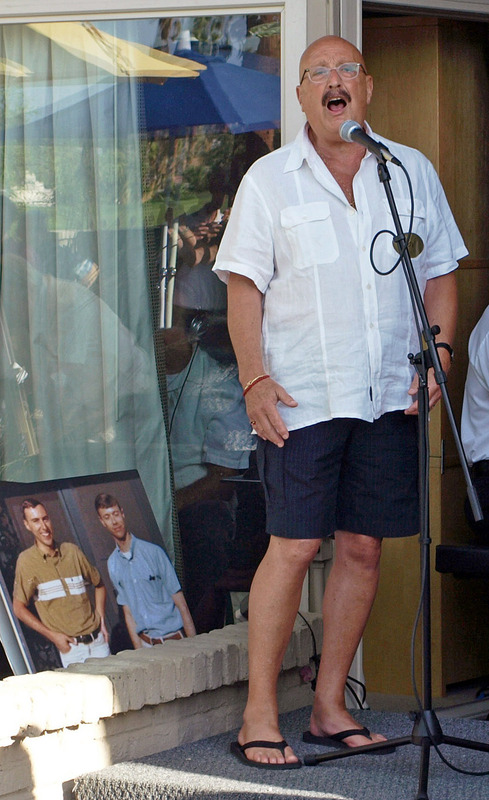 During his speech, Rob wowed the crowd when he took off his white shirt to reveal the new Butchie t-shirt he had designed as gifts for our anniversary. 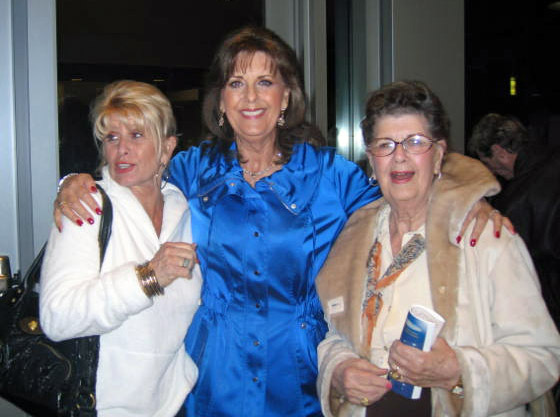 In 2008 I received a phone call out of the blue from someone who said she wanted to create a musical with her sister. (Shades of Judy and Mickey's "Let's put on a show!") The someone turned out to be Liz Dreyfuss, and her sister Dela Zimmer. We met, created, arranged, rehearsed, performed, re-created, re-arranged, re-rehearsed, and finally presented Relatively ... Singing in 2009. A wonderful experience, and we all became good friends. Fast forward to the Rob-and-Denis party two months later. In our honor Liz sang "Our Love Is Here To Stay," the last song ever composed by the Gershwin brothers. 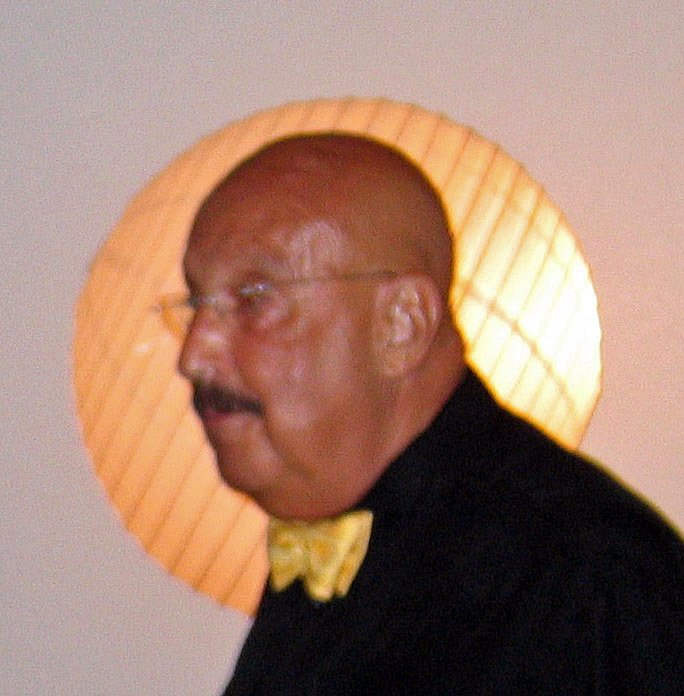 Jerome Elliott is a great cabaret artist and actor, whom I met soon after moving to Palm Springs. As a performer Jerome is both prolific and terrific, and has recently added stage direction and arts promotion to his resume. "If We Only Have Love" is a moving anthem from Jacques Brel Is Alive and Well and Living in Paris. Soon after arriving in California in 1970, I arranged the song as the finale for my first professional stage production in San Francisco, Spoonful of Sugar. Many years later Jerome learned that the song had special meaning for Rob and me, so he surprised us by performing the work at our party. 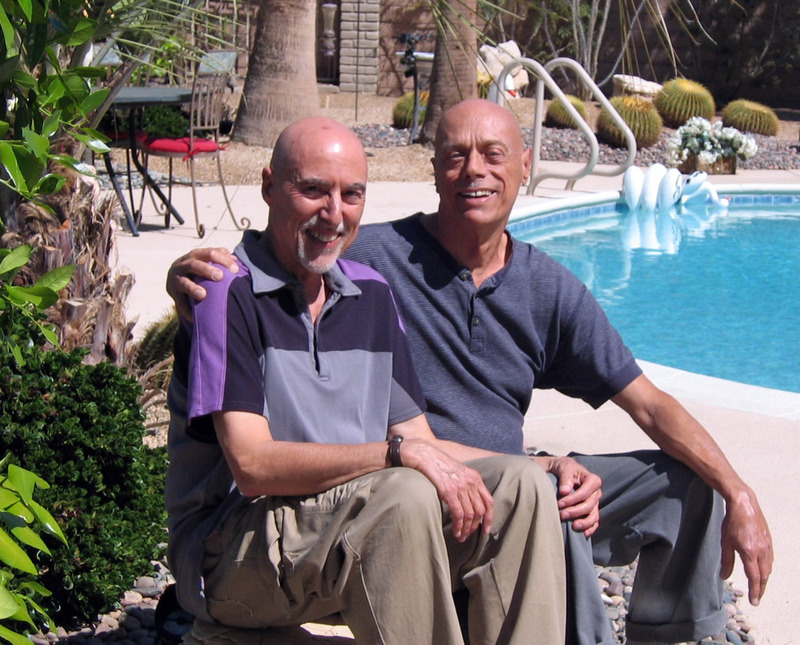 Rob and I met John Varanelli and his partner (now husband) Tom Buck when we first moved to the desert. They, along with Richard and several other friends, are members of what we lovingly call "The Koffi Krazies." 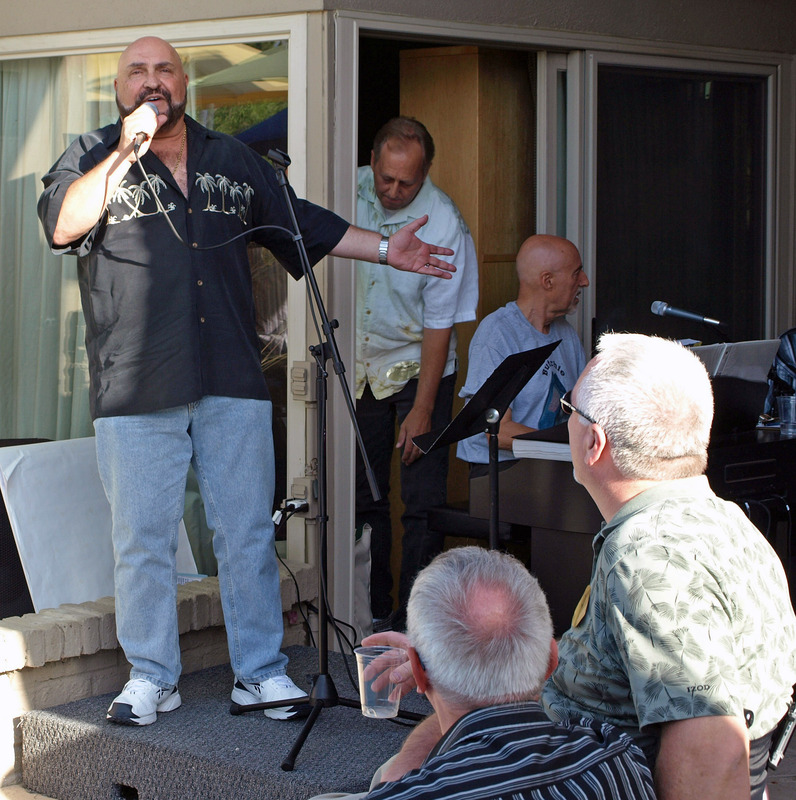 I knew that John had a background as a professional vocalist in Los Angeles, but I could never get him to sing. 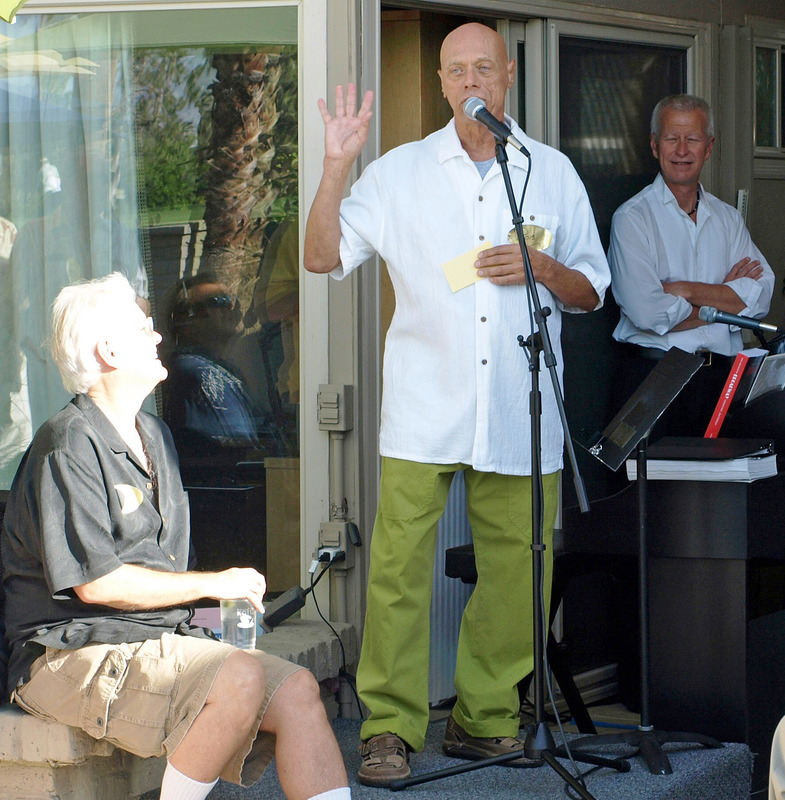 I twisted John's arm, and then I twisted his other arm, and finally he agreed to a Palm Springs virgin experience (as a singer) at our party. "The Birth of the Blues" is a pop song written in 1926 by DeSylva, Brown and Henderson. For this occasion I revived an arrangement I had previously created back in 1972 for Fickle Fox entertainer Oscar Jackson. Dela Zimmer is the other half of the Liz-and-Dela sibling revelry. 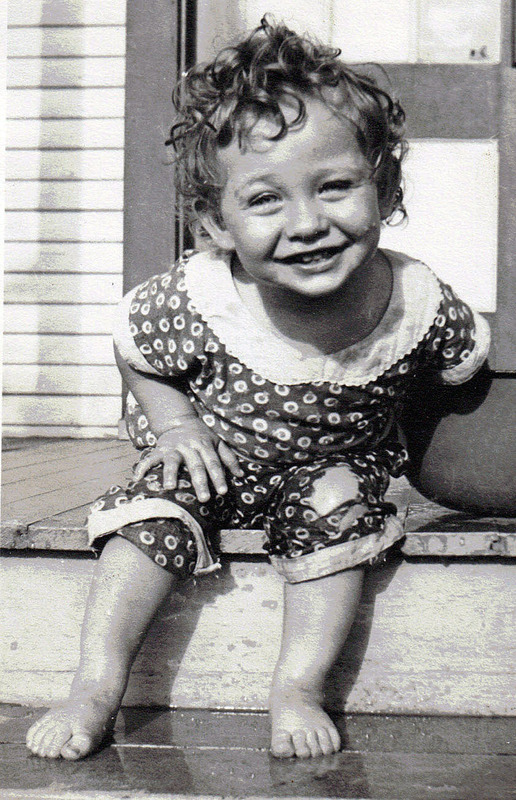 While Liz grew up to be a musical theatre and jazz vocalist, Dela became a singer of opera and classical music. 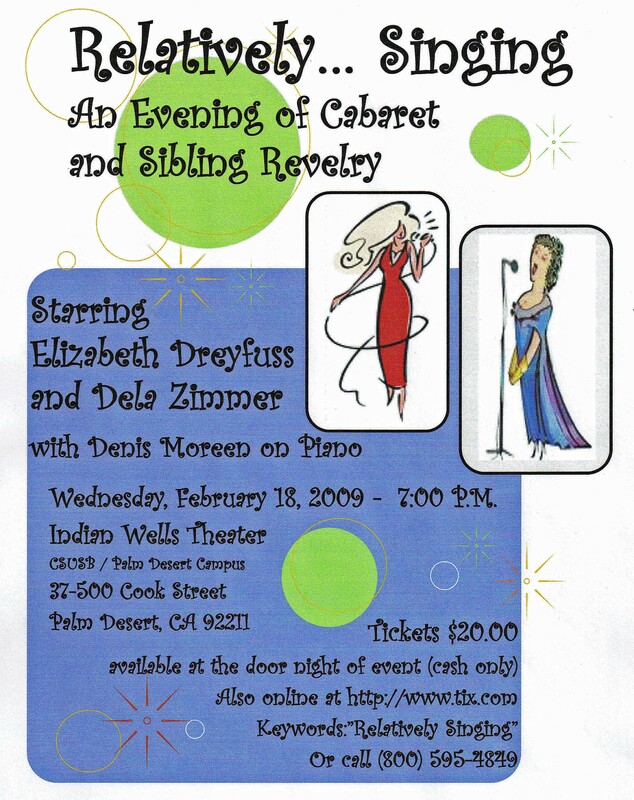 2009 was a busy year for the sisters, with their February show Relatively ... Singing, followed by the April party. 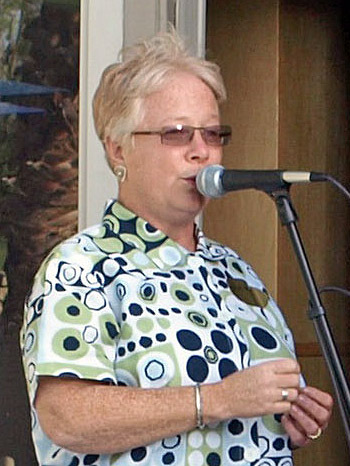 And in December 2009 Dela made her debut as a soloist with the California Desert Chorale under the direction of Tim Bruneau, a role she has repeated for the group several times since. At the Rob-and-Denis party, Dela performed an aria sung by the character Adriana in Francesco Cilea's opera Adriana Lecouvreur. In Act I, Adriana happily sings "Io son l'umile ancella" ("I am the humble servant of the creative spirit"). But by the end of Act IV, in true operatic style, Adriana becomes deranged and dies from poisoning. Ron Cohn and I have been rehearsing and performing annual shows since 2010. All of them premiered in his living room and then transferred to other venues over the following months. 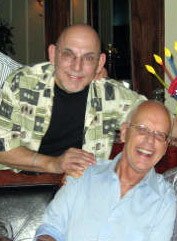 Ron has sung "This Moment" in several of his productions. The song is a tender ballad written by cabaret composer John Wallowitch in 1977. The beginning lines set up the song's message: "It takes a life to realize what life is all about, and life is all about this moment." 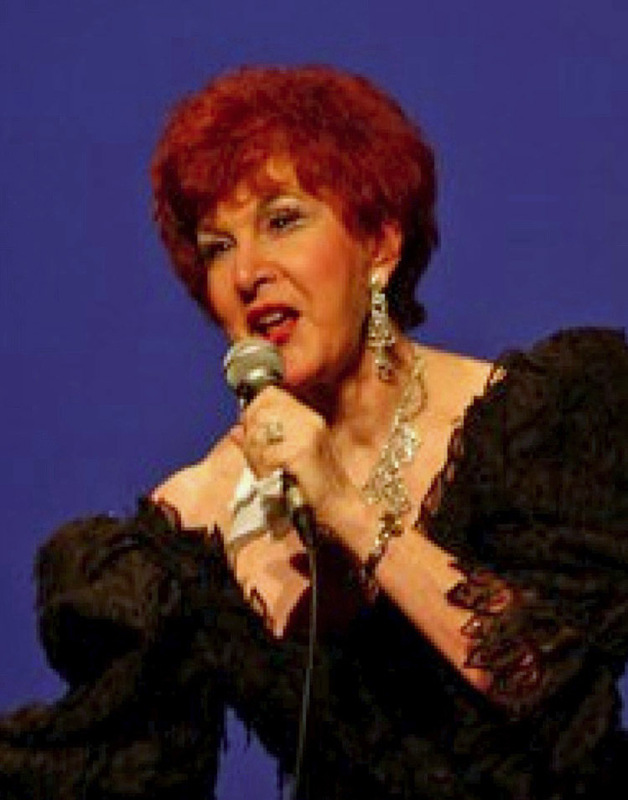 Vicki Knight is a consummate entertainer, well-known to audiences in the Palm Springs area for many years. I first worked with Vicki in 2006 when she and I both appeared in Derrik Lewis's wonderful Musical Chairs show, Inka Dinka Doo! Since that time Vicki has become a good friend and colleague. "More Than You Know," a standard from the Great American Songbook, was written by Youmans, Rose and Eliscu in 1929. I arranged the music for Vicki to sing in Derrik's show, and it's been a part of her repertoire ever since. Jose Sarria was known internationally for his pioneering work in show business and politics. 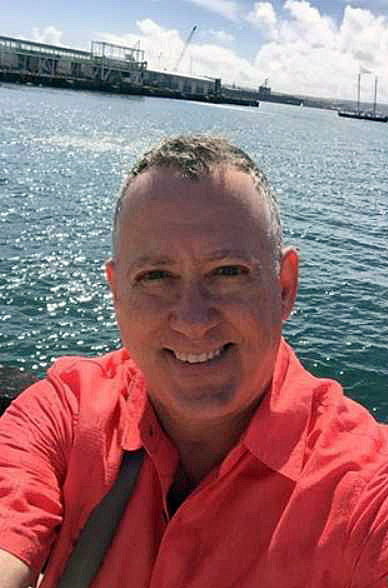 He was a well-known drag entertainer at The Black Cat beginning around 1950, and in 1961 was the first openly gay man to run for public office in San Francisco. 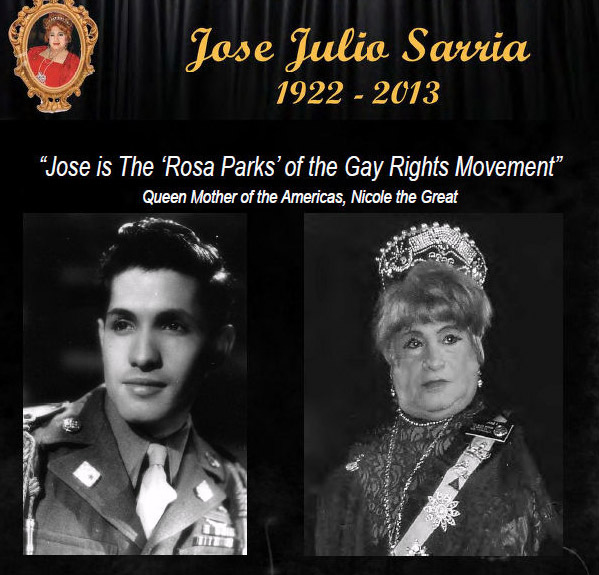 He founded the gay court system in 1964, serving as Empress Jose I, "The Widow Norton." 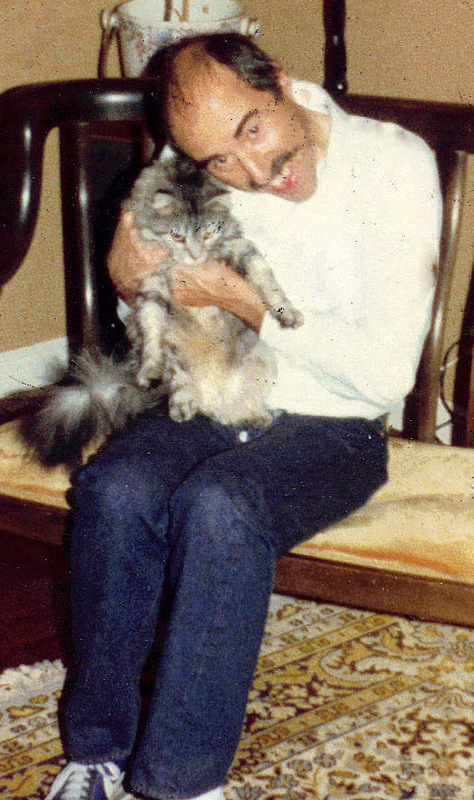 Jose was a life-long fighter for the rights of gay and lesbians in our society. It was my pleasure to work with Jose on many stage productions in San Francisco as his pianist and musical director in the years 1970-90. 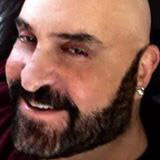 Jose moved to the Palm Springs area in 1995 and then on to Albuquerque around 2010. 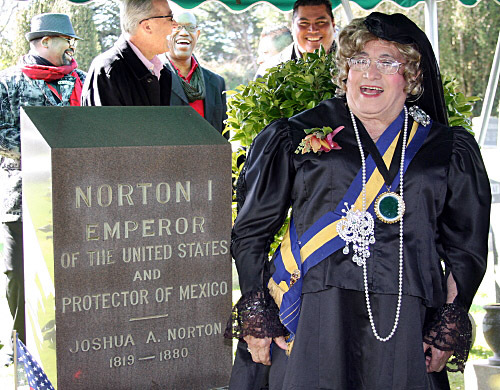 He died in 2013 and is buried in Woodlawn Cemetery, Colma, in a plot he bought near his beloved "husband" Emperor Norton I. "I Wonder Who's Kissing Him Now" is Jose's version of a pop standard written in 1909 by Hough, Adams, Howard and Oriob. On this recording, just after the piano begins playing you'll hear Jose say "Oh my God, is that a sign that I should stop?" The reason: During the piano introduction, a guest leaned too hard on an outdoor sculptured obelisk, knocking it over. The guest shall go nameless (but his initials are Justin. Blake.). I guess J.B. was simply overcome by Jose's aura. Such is the power of a true Empress. Mashup of 2 songs: "Everything's Coming Up Roses" - "It Only Takes a Moment." 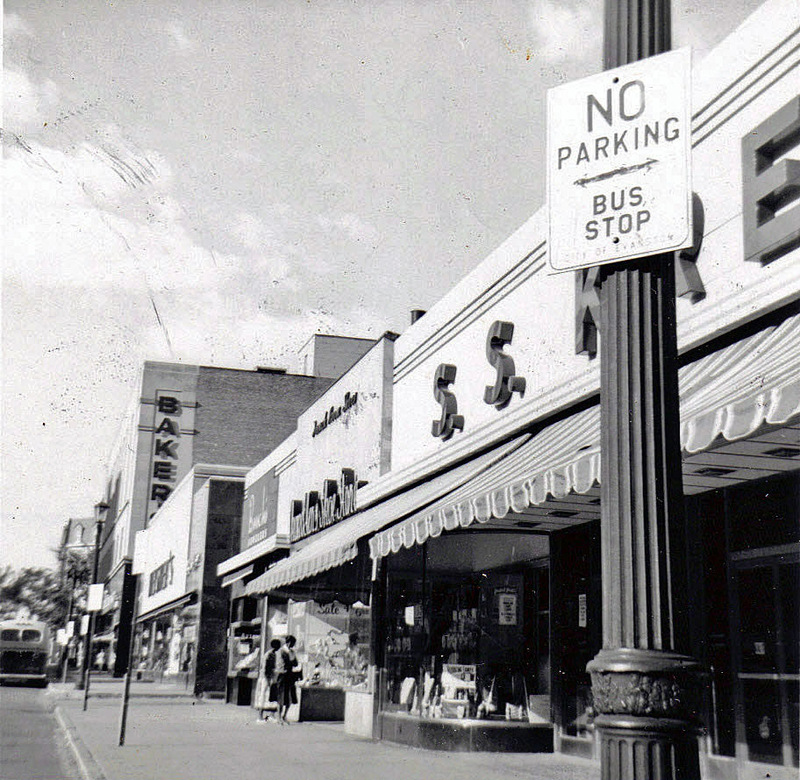 April 17, 1959: Rob and I met in Evanston, Illinois in front of an S.S. Kresge dime store. Rob was living in a third-floor apartment in Evanston and working in Chicago, while I was at home in Wilmette finishing my senior year at Northwestern University. Later, we moved in together in Evanston. 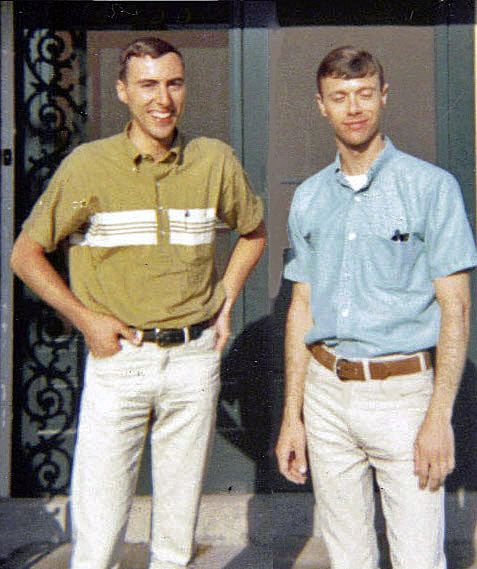 June 1, 1961: Rob and I rented a two-story townhouse in Evanston after living for one year in a third-floor walk-up. We had our "official portrait" photograph taken in front of our new home the following year. May 21, 1959: The musical Gypsy opened on Broadway. Rob and I listened to the cast album again and again in Rob's apartment; it became "our" show. The lyric "I had a dream . . ." resonated with us . . . for life. January 16, 1964: The musical Hello, Dolly! opened on Broadway. The lyric "It only takes a moment . . . to be loved a whole life long" seemed to be written for us. The scene where Dolly Levi descends the staircase in Harmonia Gardens inspired Rob and me to use our own two-story townhouse in a similar fashion. Producing a grand finale for one of our parties, we arranged for our friend Phil Stevens to regally descend the stairs at the stroke of midnight, while singing "I'll Build a Staircase to Paradise." Later, Rob and I bought our first home in San Francisco. Still later, we bought our first home in Palm Springs. 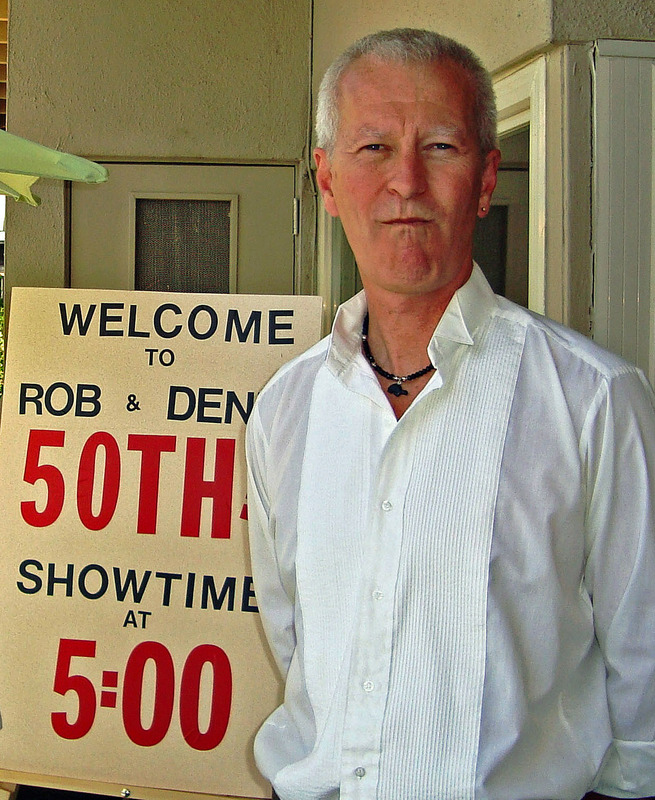 April 17, 2009: At our 50th anniversary party, I sang a work I had created for Rob entitled "Dream Moment." While introducing the song, I took off my burgundy shirt to reveal the new Butchie t-shirt that Rob had given me. During the song, I unveiled two posters displaying photos of Rob's and my 1959 meeting place and our 1962 "official portrait." In my mashup arrangement, I melded the songs "Everything's Coming Up Roses" and "It Only Takes a Moment." The song lyrics say everything. Debra Altschuler and I go back a long way. 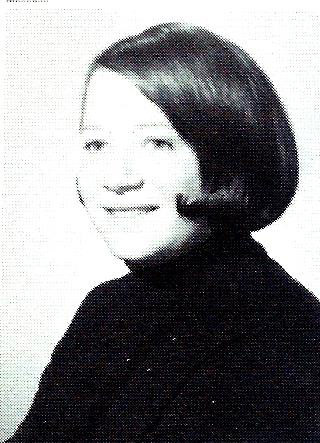 Debra was a student in several of my music classes at New Trier High School West in the 1960s. I retired from New Trier in June 1970, and she graduated at the same time. We have stayed in touch ever since and loved it. While I went west to California to teach, Debra went east to New York to audition for several musical theatre roles. Debra and her partner Judy Neidert eventually made their way to San Diego, where they have found their true calling. In a new take on an old tune, Debra sang "Happy Anniversary to You" for Rob and me. I love the moment on this recording after Debra finishes singing, when someone in the audience yelled "Keep auditioning!" In show biz, when you're auditioning, you're looking to the future. Let's all keep looking to the future. Here's to many more anniversaries. It's now eight years since our 2009 party. 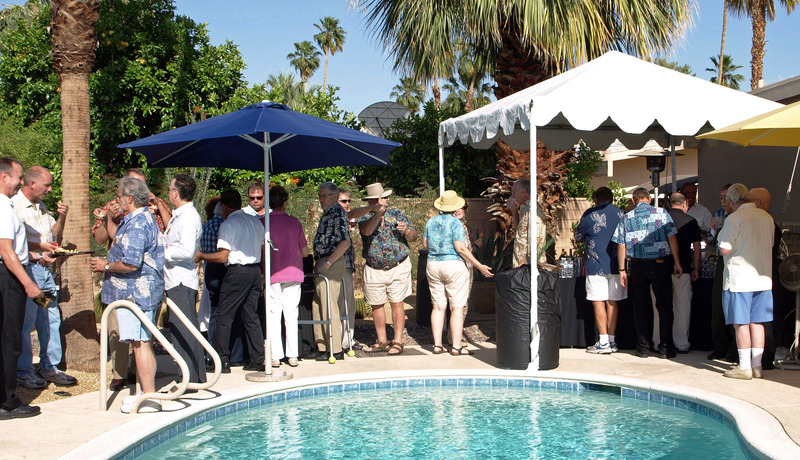 Rob and I still recall with great fondness the many guests who traveled to our soirée from the Coachella valley, from the San Francisco area, from cities on the southern California coast, even from Maui in Hawaii. We enjoyed seeing and hearing some wonderful entertainers. We thank you all. The fifty-eight years from 1959 to 2017 have brought ups and downs for Rob and me. We, like all of you, keep dealing with health and financial challenges and with the loss of families and friends. But today we're still at our beautiful home in Palm Springs, and we're still enjoying life. Breaking news: Year 2017 saw a momentous achievement: The publication of my partner Rob's personal memoir, after four years in the making! Toss of the Coin: Choosing My Gay Destiny recounts Rob's journey through life, from shy, perfect boy to audacious risk-taker. He travels from the blue-collar world of Chicago into the gay paradise of San Francisco, one of the most dynamic scenes of the late twentieth century. 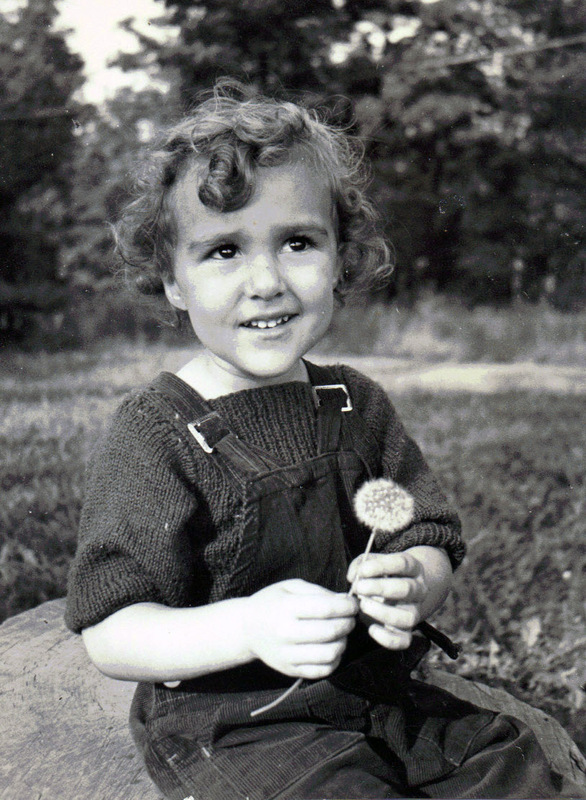 Toss of the Coin is more than a historical memoir. It is a passionate, no-holds look at Rob's roots and revelries in Chicago, San Francisco and Palm Springs, and his coin tosses along the way. 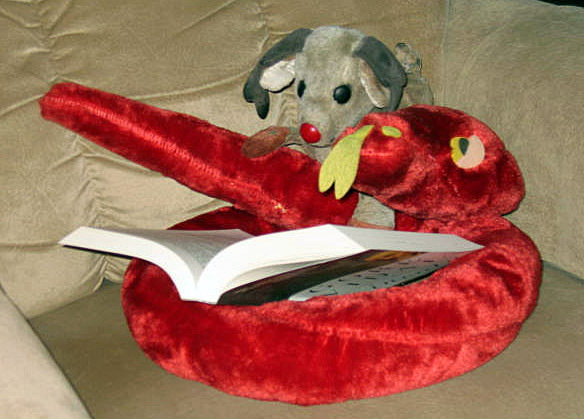 For more information, please visit the Rob Tackes website at desertmusebooks.com.